Superbowl is a pretty big deal in these parts. Such a big deal in fact, that once the people started arriving and the food was spread out, I stopped taking pictures, because, well because I was watching the game. But this was a very interesting year because we are across the board–big Patriots fans. But there are a few among us who adore the Seahawks too. And that’s perfect. New fabric. New patterns. New techniques. All designed by one smarty pants girl. And, hey~ I know her! or three. All of them by Edie Eckman–who is positively brilliant and completely understandable. Finally. 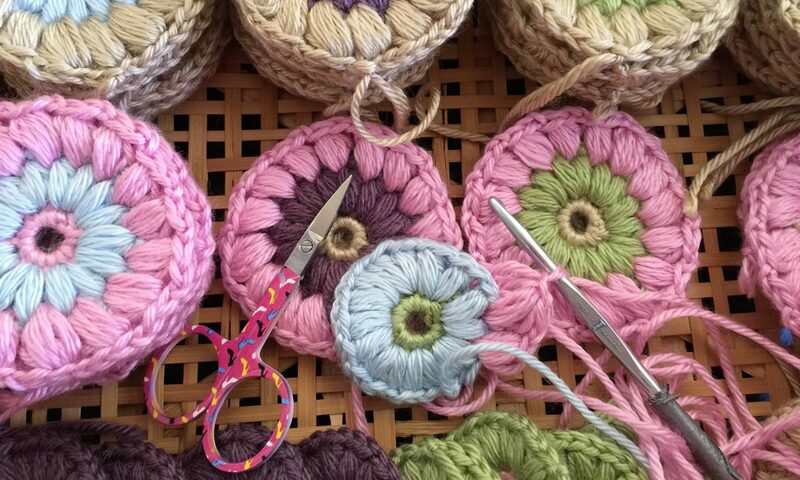 Edges, borders, granny squares, circles, triangles and connecting them all together into one incredible…something. The possibilities are endless. I’m thinking that some sort of “Crochet Along” is in order…you know, like a book celebration or something. It could be so much fun! Perhaps, some of you will even join me…hmmm? Party to plan, you know. I love these girls. Their sweet, beautiful voices just make me so happy.